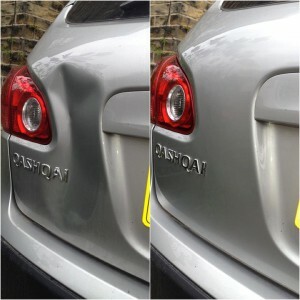 DentSpeed is a leading dent repair specialist in Leicester. We are a team of experienced paintless dent removal (PDR) professionals, equipped to repair dents, dings, creases and hail damage from your vehicle body panel. We repair large dents, small dings, damage to body lines and dents in ‘no access’ and braced areas. We are experts in dent ‘lifting’ procedures too! We offer a convenient mobile dent repair service, enabling us to visit you at your home, workplace or other suitable location in Leicester to complete the repair. This allows you to continue your day with minimal interruption. Are you interested in our services, Do you have any questions...? Simply fill in our small form and we will call you to answer any questions. We are happy to serve customers from around the Leicester area. You’re Only 1 Step Away From Car Dent Repair – Request A Quote Today! © 2019 DentSpeed. All Rights Reserved. Sitemap | Website by Cyber Sushi Design .